You cannot add "Carbon Steel Backsaver Spade" to the basket because the product is out of stock. 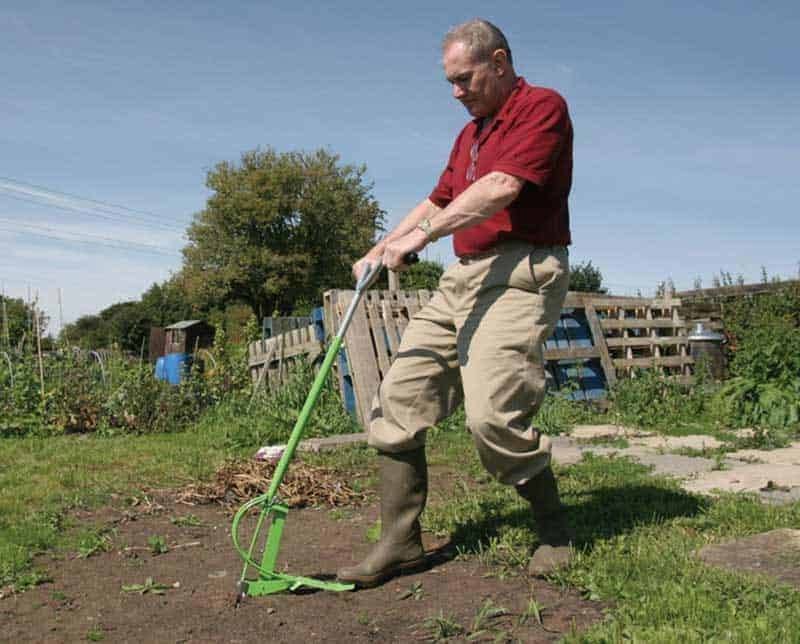 Stainless Steel Backsaver Autospade with stainless steel blade*. 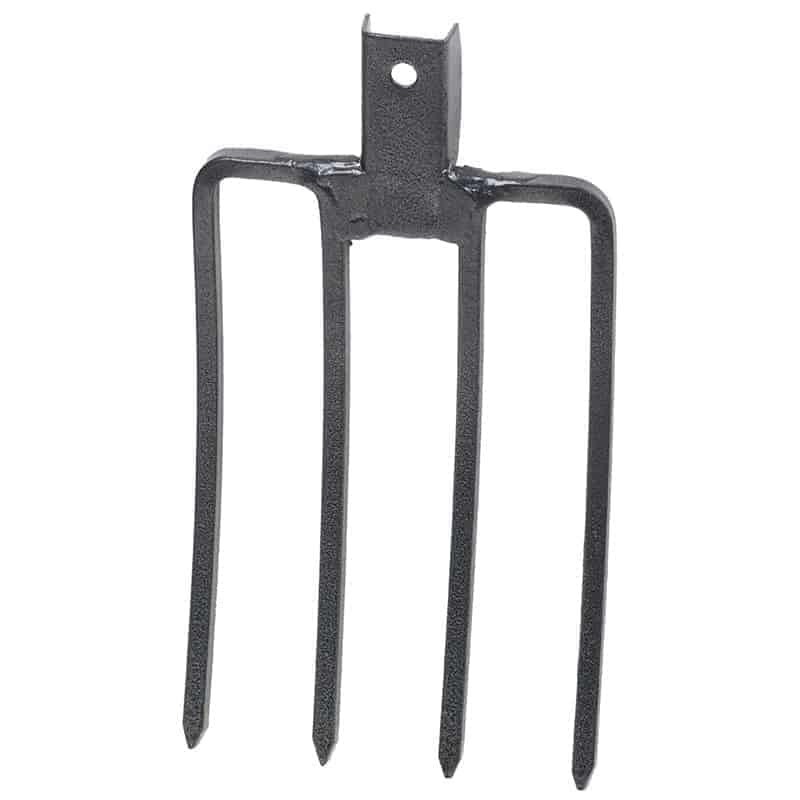 Also includes a FREE carbon steel fork head. 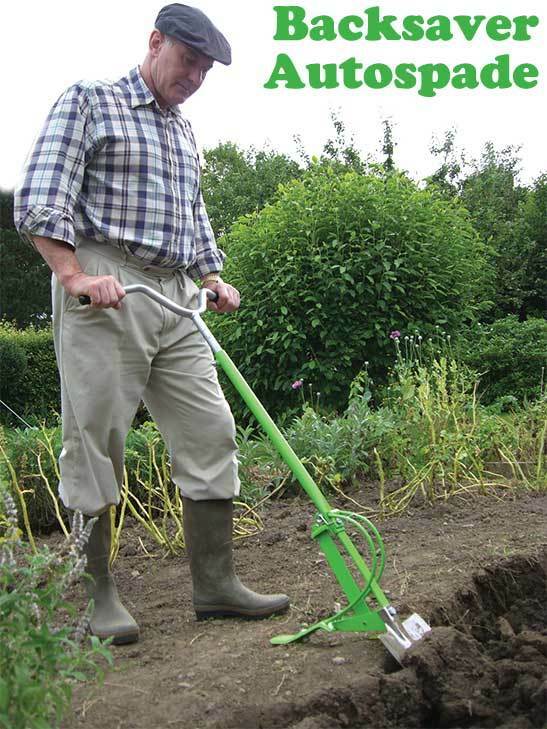 The Stainless Steel Backsaver Autospade is a quality tool to remove back strain when digging in cultivated ground. 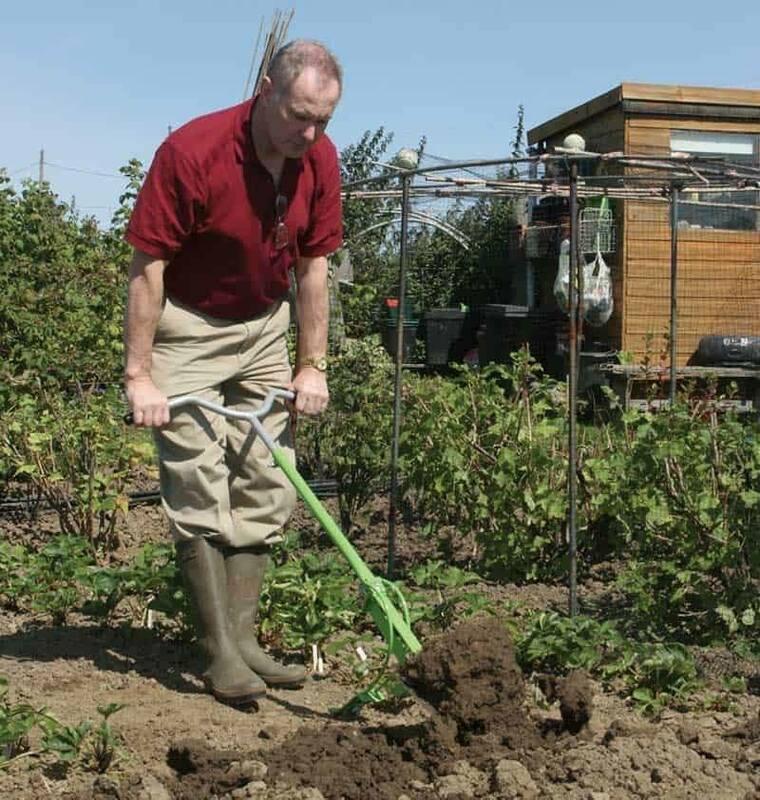 It’s essential to create a digging trench, which allows the Auto-spade to throw the soil forward. The trench also allows the opportunity to dig in some muck. Take a spit as you would with a normal spade. Enter the blade at a backward angle. As a guide, the footplate should end parallel to the ground. 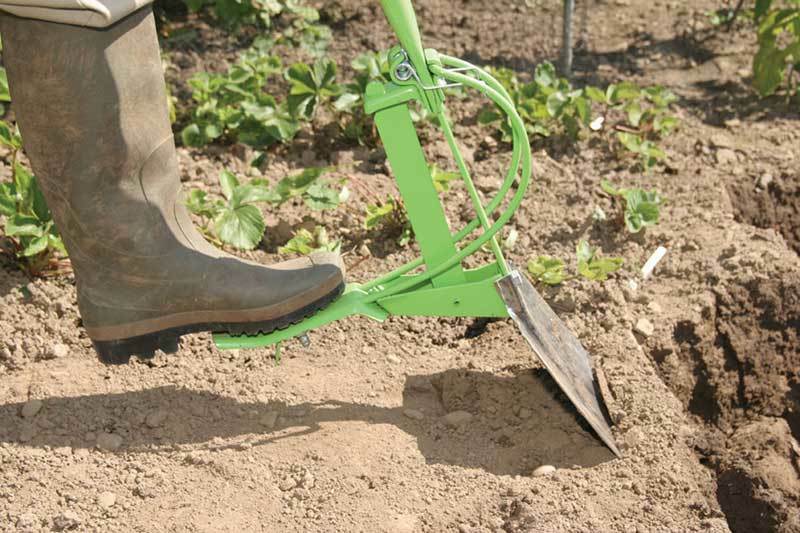 Use the footplate to press home the blade until it’s full-depth and the anchor plate is grounded. 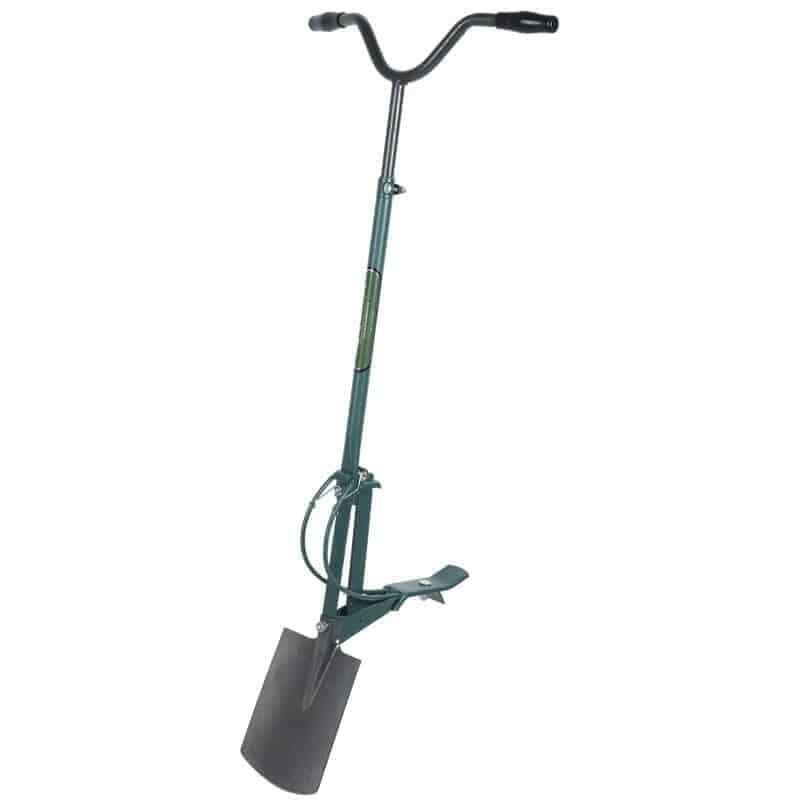 This allows the spade to pivot. Ease the handle forward to loosen the spit and engage the anchor plate. This is vital on heavy or hard ground, but won’t be necessary on well dug ground. 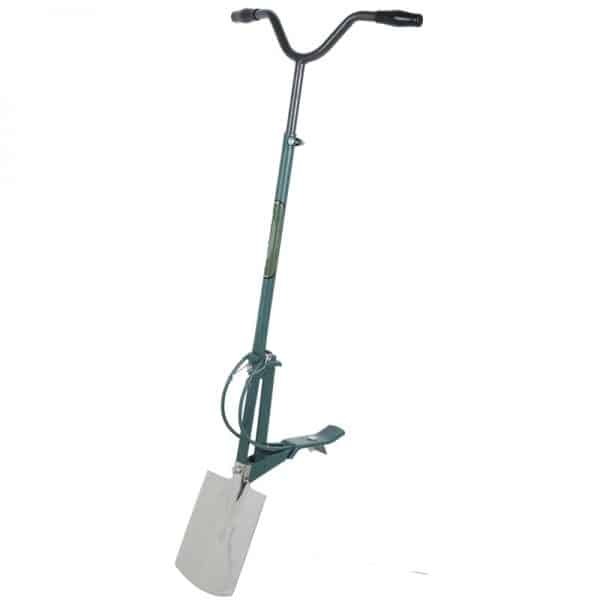 Don’t spear the Autospade into the ground, just swing the spade from one spit to the next. 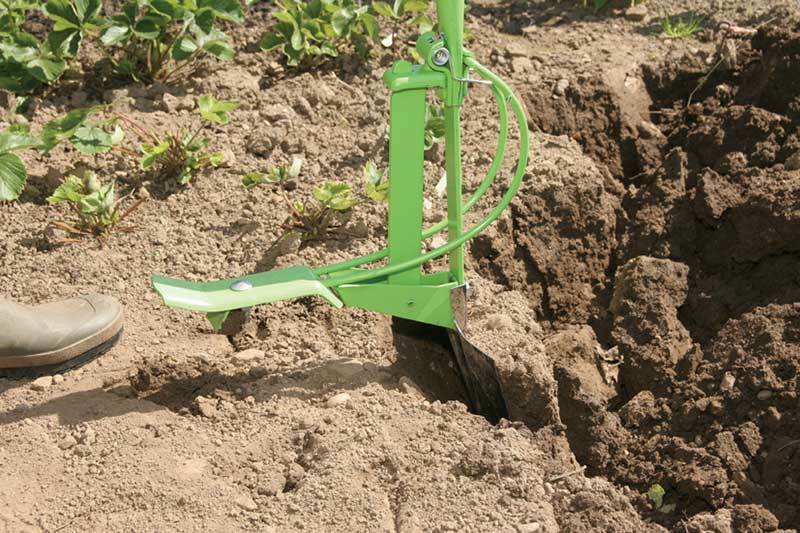 In new or hard ground a trench is vital, without it you will break the spade. 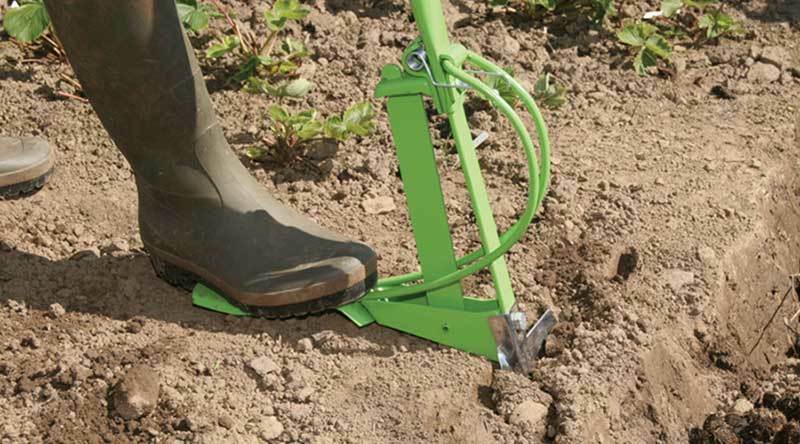 Under no circumstances should you plunge the autospade blade into hard ground and pull back on the handle. The shaft or spring will bend or break. Always start with a trench and then take small bites of 2″ – 3″ (50mm – 75mm). Don’t forget to loosen the spit by pushing forward.